Orange poppy seed almond muffins - vegan - NOURISH TO PERFORM. 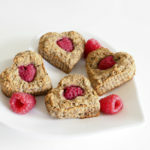 Finally, I’m sharing a paleo AND vegan muffin recipe with you. Combining orange peel, poppy seeds and almonds was the best thing I’ve ever tried! Those muffins taste fresh and summery and sour and at the same time sweet raspberries go perfectly along with them. I guess, this recipe meets a lot of different dietary needs. 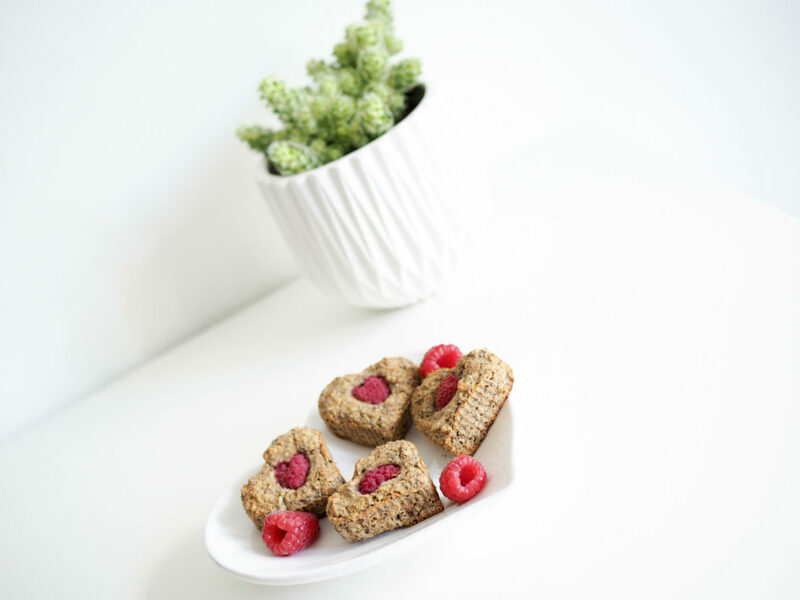 They are paleo, gluten free, dairy free, vegan, egg free, sugar free, high in protein and they contain healthy fats and good carbs, as well as a lot of fibre. I could keep rambling about how perfect they are and taste for hours but I think, the best thing is to try them! As some might know, it is not that easy to get paleo conform flour. The more excited was I when I discovered plantain flour * in the supermarket. Using it the first time in this recipe, I was stunned. It is easy to use like rice flour or chestnut flour and it smells heavenly sweet and reminded me of „Fizzers“. (A candy I had as a kind sometimes.) It is perfect for sweet dishes like cake, waffles, noatmeal or pancakes. Stay tuned for more recipes coming your way using this flour! sweetener of choice/Süße nach Wahl I used pure stevia powder./Ich habe reines Steviapulver verwendet. Preheat the oven at 200' C top- and bottom-heat./Den Ofen auf 200 Grad Ober-/Unterhitze vorheizen. Mix all ingredients apart from the raspberries and fill the dough into muffin tins./Alle Zutaten außer den Himbeeren vermengen und in Muffinförmchen füllen. Top with raspberries and bake in the oven for 25 minutes until golden./Himbeeren darauf geben und für 25 Minuten goldbraun backen. Products marked with * are affiliate links. If you want to support me and make sure that I can provide you with content in future, you can buy products using these links without paying extra money while I’m able to earn some money.